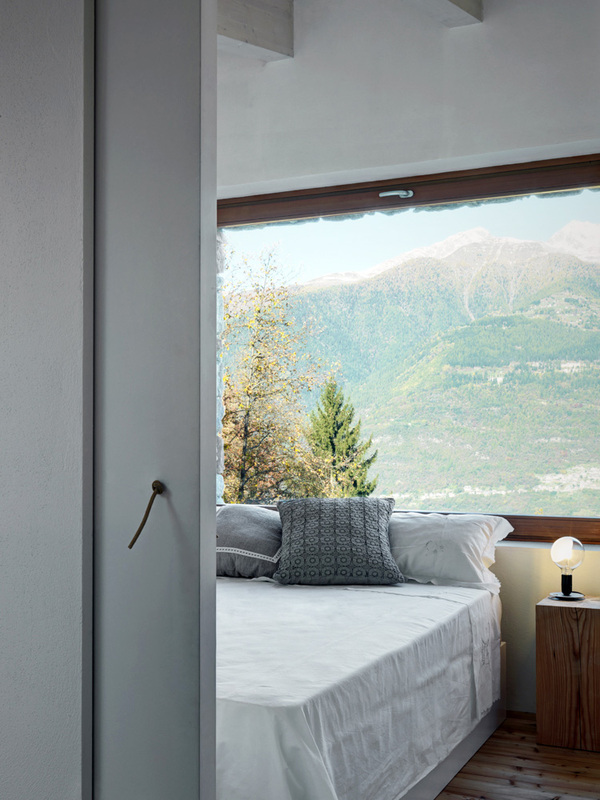 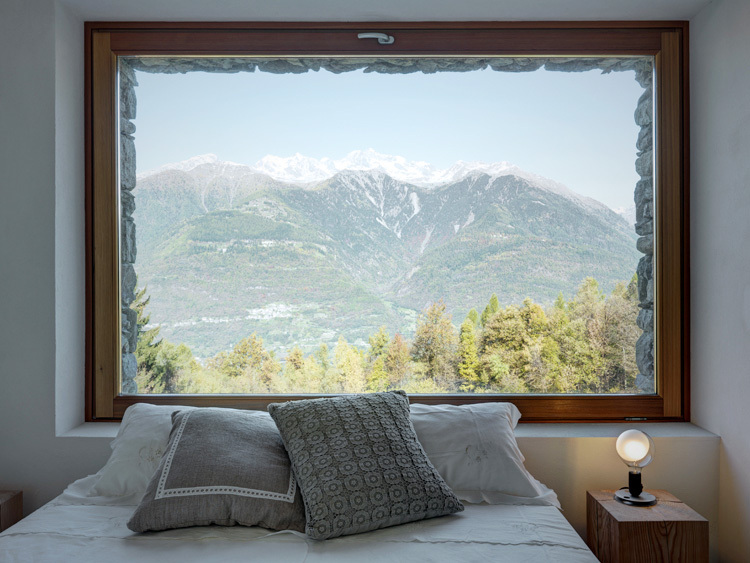 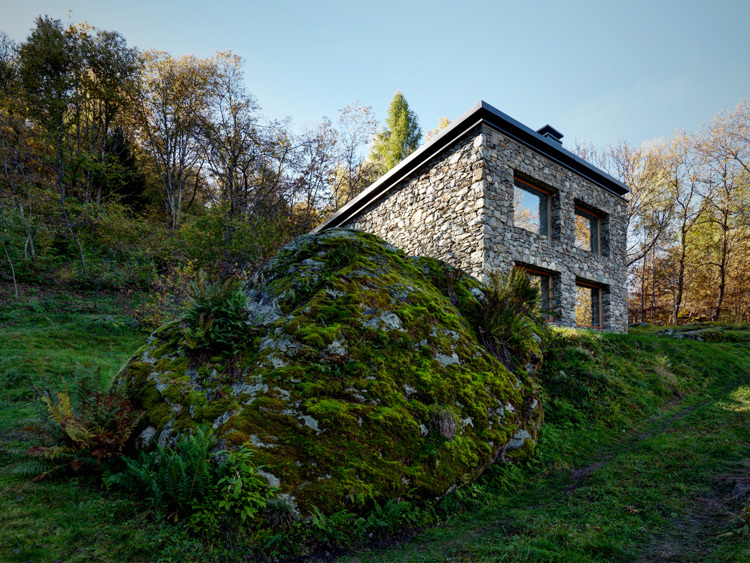 Located in the beautiful surroundings of Sondrio on the Orobie Alps at 328 feet above sea level, Casa VI by Italian architect Alfredo Vanotti soaks up spectacular views of the valley. 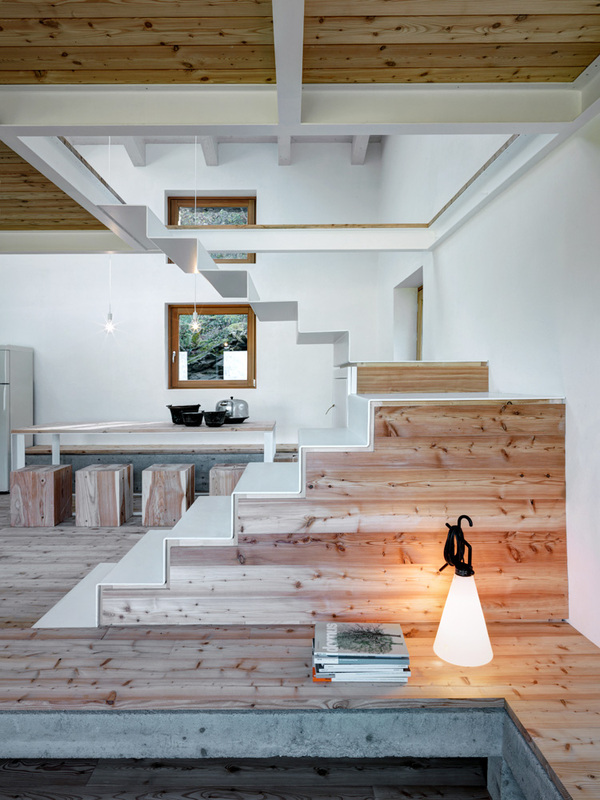 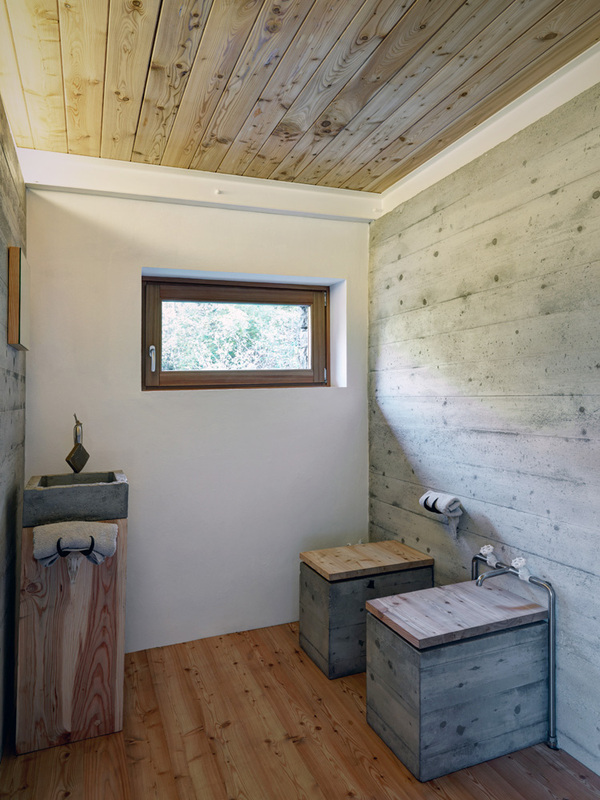 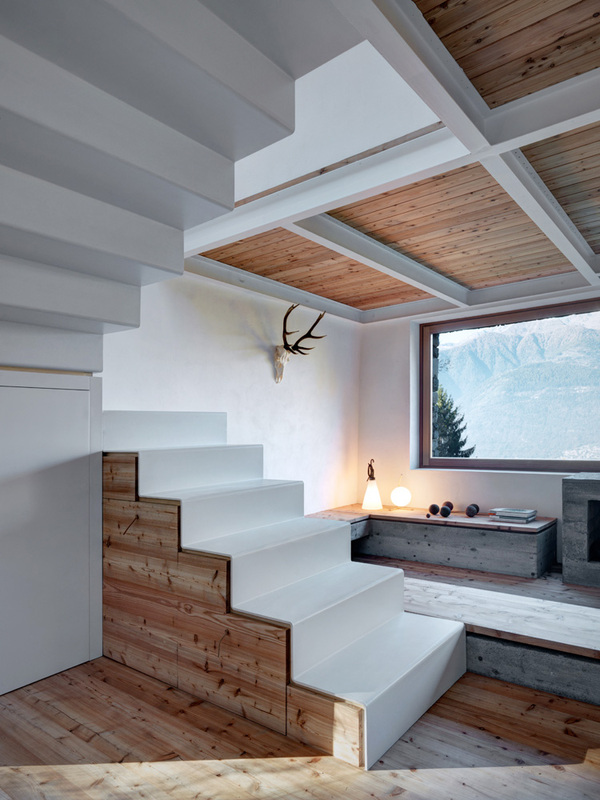 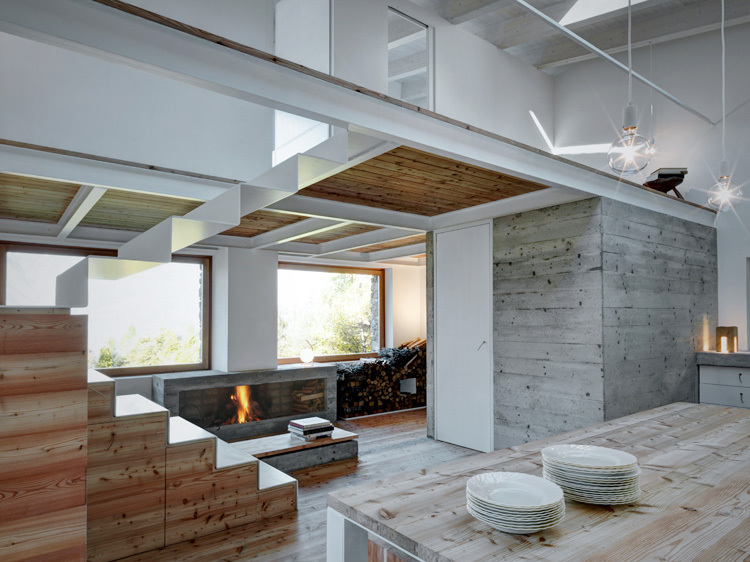 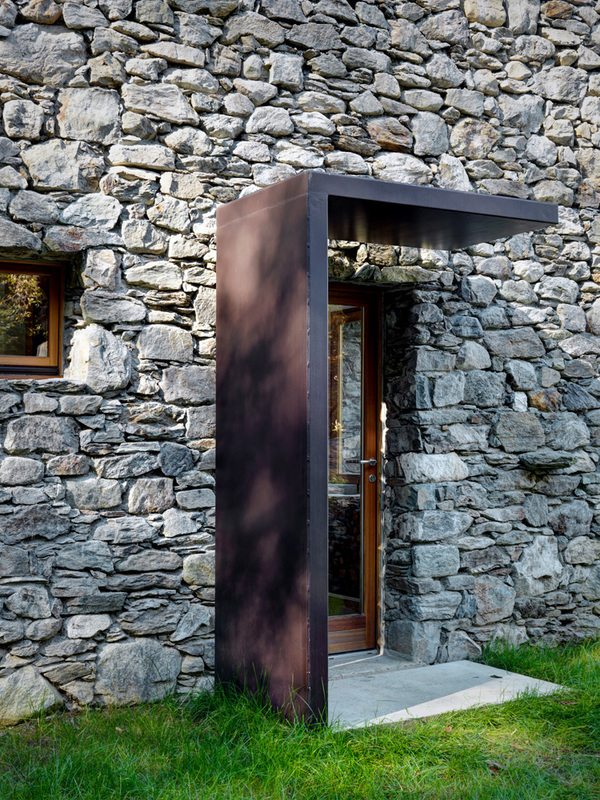 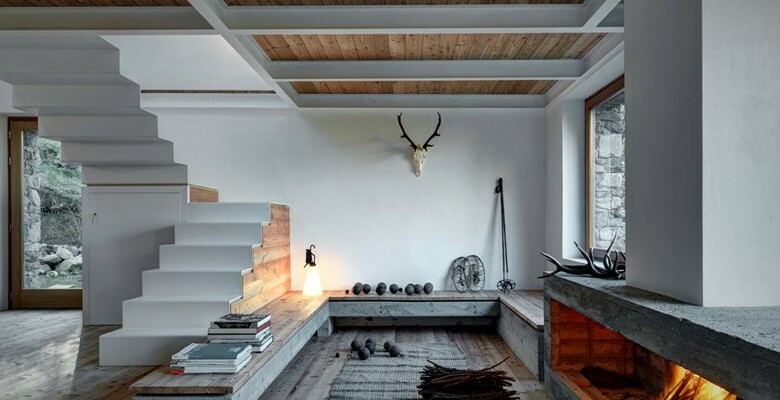 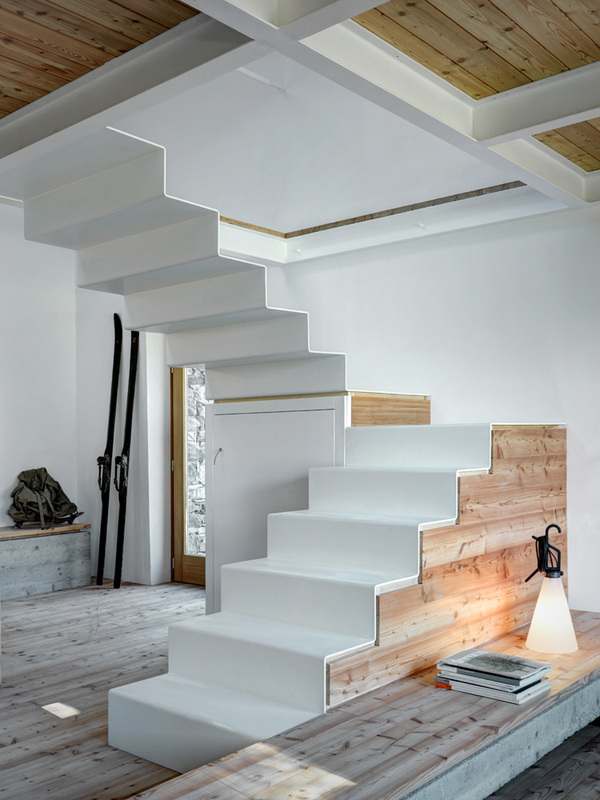 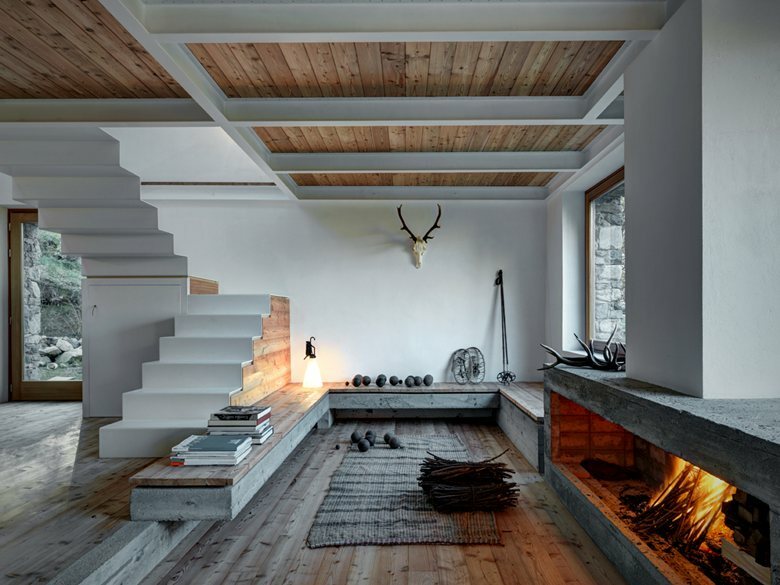 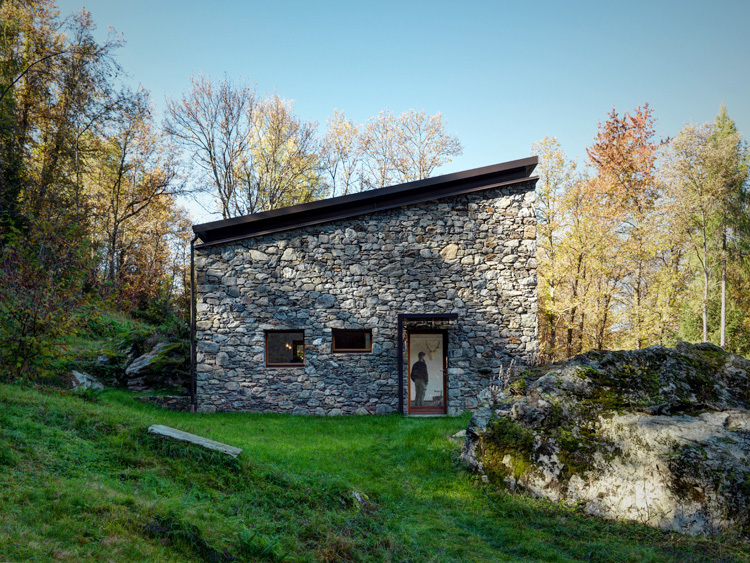 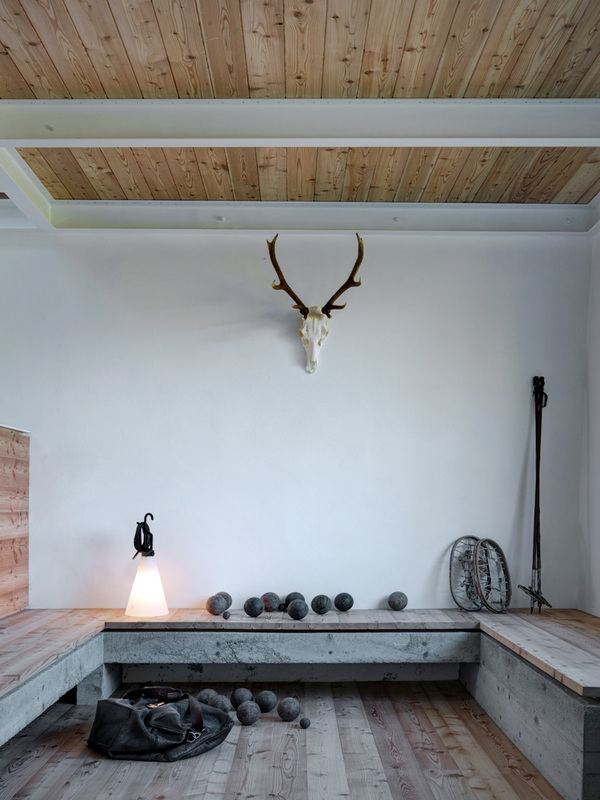 By reinterpreting traditional building techniques and using local craftsmanship to create custom elements such as a fireplace and furniture, the architect created a warm and minimal interior that mixes stone, concrete, natural larch and iron. 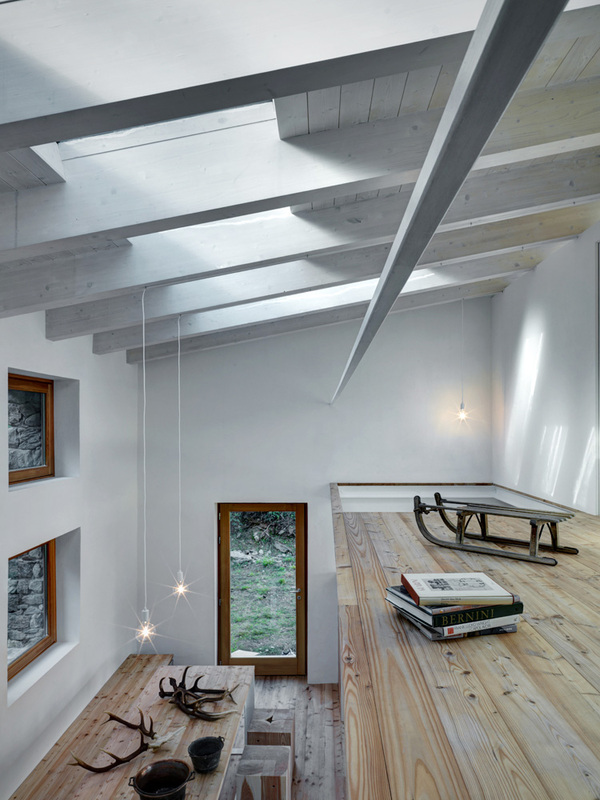 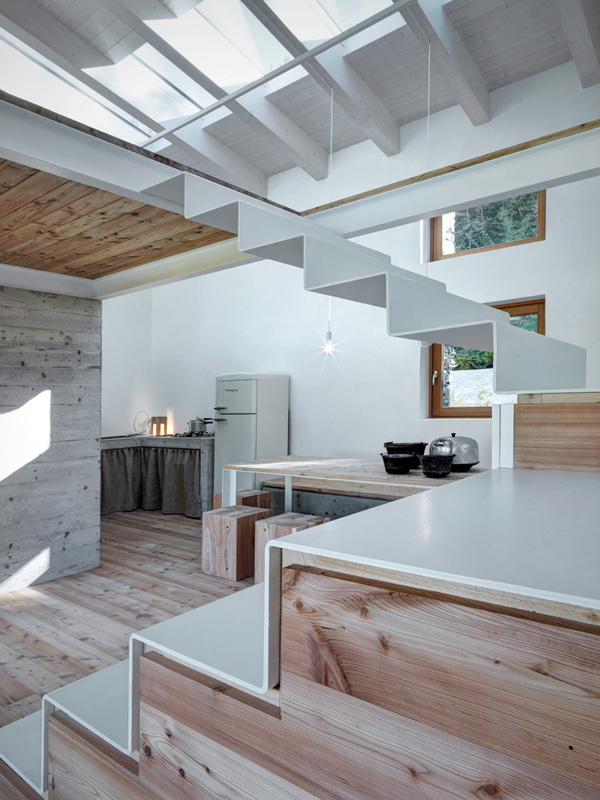 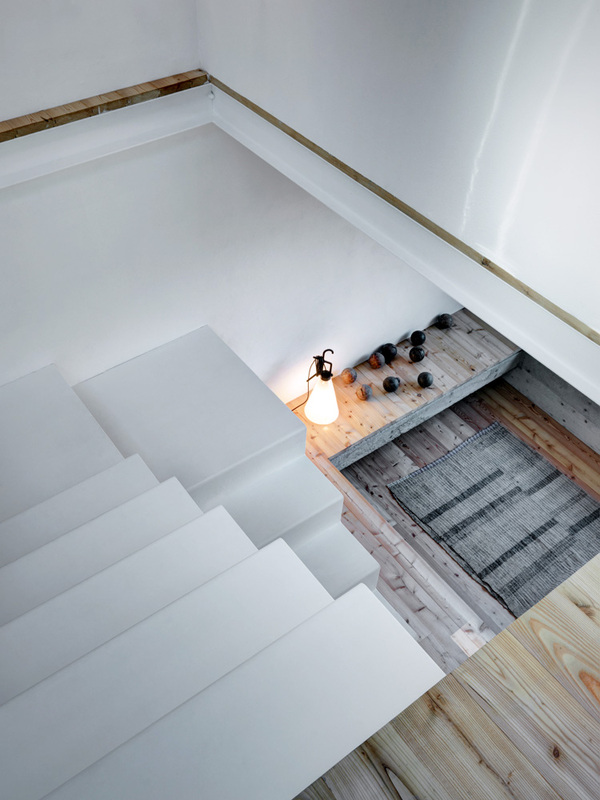 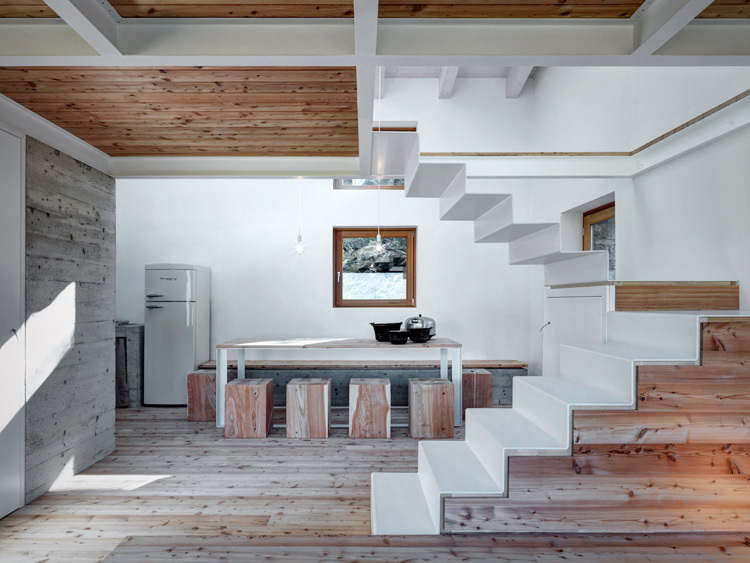 Daylight played a significant role in the design of the house. 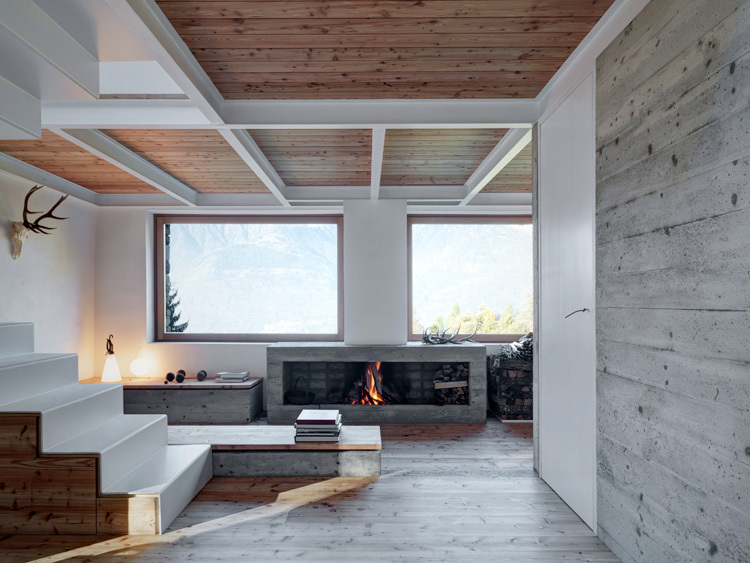 Through careful analysis of the context and the possibilities in terms of sun exposure, Vanotti designed the layout and roof orientation and introduced skylights and large openings to provide natural lighting through all the year.